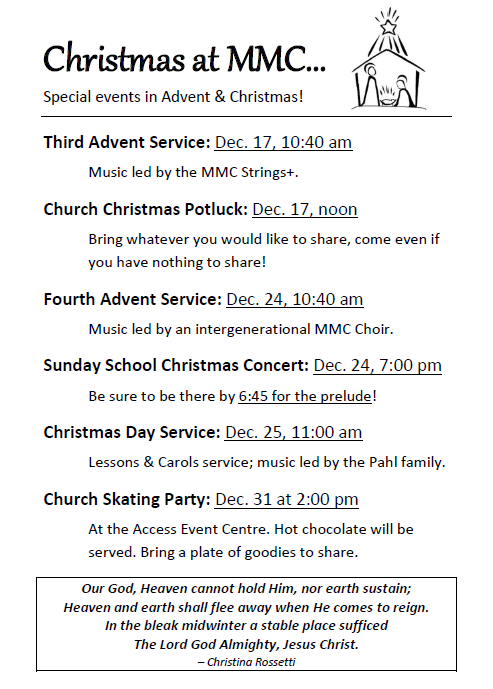 Dec. 24 @ 7:00pm, Sunday School Christmas Concert – but be sure to be there by 6:45 for the prelude! Call the church office for more info! This entry was posted in Uncategorized and tagged advent, christmas. Bookmark the permalink.